CAPE TOWN, South Africa, May 6 2013 (IPS) - “If I don’t have my pills, I don’t know what will happen. I will probably get sick again, very sick. Maybe I will die this time,” says Xoliswa Mbana* as she readies her four young children for school in the impoverished informal settlement of Masiphumelele, in Cape Town, South Africa. Two years ago Mbana, who was diagnosed HIV-positive in 2008, had a CD4 count of less than 200. Dangerously ill, she was convinced by nurses at her local clinic to begin antiretroviral (ARV) treatment. “I didn’t trust the muti (a Zulu word for traditional medicine) at first because I had heard a lot of bad things about them. But I was dying; I had no choice. When I started to feel better I was so happy. The government must please not take my happiness away from me,” the 42-year-old tells IPS. Mbana, who is among the 5.5 to 5.9 million South Africans the Joint United Nations Programme on HIV/AIDS estimates are living with the disease, is referring to her fear of being cut off from her life-saving pills. It is a fear that is not unwarranted. Last May she was forced off treatment for three weeks because her local clinic ran out of ARV drugs. It was one of hundreds of distribution points across six of South Africa’s provinces that were struck by a serious supply shortage, the most recent of several stockouts that have plagued the state-funded ARV treatment programme since its launch in 2004. It is the South African Department of Health’s (DoH) shaky ARV supply track record that has treatment activists sounding alarm bells over the Apr. 1 introduction of fixed-dose ARVs (FDAs). Until now, state-funded ARV treatment has comprised three different pills taken at different times during the day. The new FDA combines the three key agents from these pills in a single pill that only needs to be taken once a day. Although welcoming the FDAs as easier and more convenient for patients, activists and health professionals alike have warned that a stockout of the drug could have a catastrophic effect on the country’s public HIV/AIDS treatment programme — the largest of its kind in the world. “With the individual ARV drugs, if there is a shortage of one ARV then people can still take the other two drugs, though it’s not ideal. However, if there’s a stockout of the fixed-dose pill, then patients will have no recourse,” Mark Heywood, executive director of health and social justice advocacy group Section 27, tells IPS. Dr. Kevin Rebe of the Anova Health Institute, which runs the Health4Men programme focusing on HIV prevention and treatment, agrees. “The risk of FDAs is that there isn’t really a good fall-back,” he tells IPS. 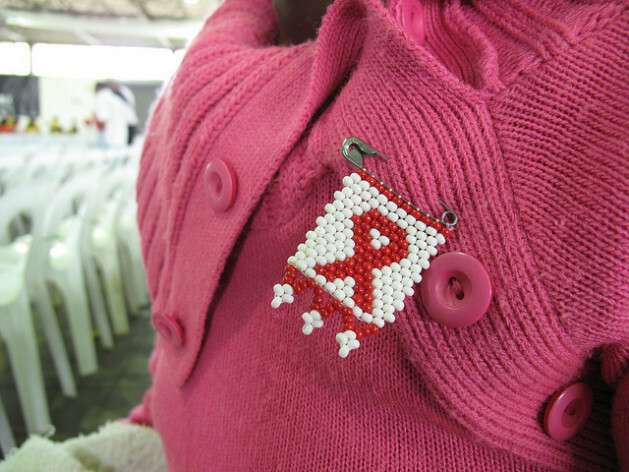 Professor Linda Gail Bekker, deputy director of the Desmond Tutu HIV Centre at the University of Cape Town, adds that a stockout could be a “serious health hazard” for dangerously ill people who have just started ARV treatment — people like Mbana, who could have died if there had been a stockout when she first began treatment in 2010. Bekker is equally concerned that stockouts could set back hard-won gains in convincing HIV positive people to begin treatment and to then stick to a strict drug regimen. “We really have to indoctrinate HIV infected patients on ARVs to be adherent. When non-adherence is then imposed on the patient through no fault of their own, this is very frustrating and alarming for patients,” she tells IPS. Bekker believes the risks of an FDA stockout could be mitigated by accurately predicting the demand and ensuring adequate supply. While acknowledging this is easier said than done, she insists that strict supply management is the only way to ensure the success of the new FDA treatment regime. Rebe also stresses the importance of getting the FDA supply chain right and says the DoH’s initial plan looks promising. Rebe points out that the DoH has also split the 2013/2014 FDA tender into multiple contracts. “This is good because if one supplier runs out the others should be able to pick up the shortfall,” he explains. Joe Maila, DoH spokesperson, says bringing in additional suppliers would be considered only if the three current suppliers — Mylan, Cipla and Aspen — could not meet the demand. The introduction of FDAs is also expected to significantly reduce the state’s annual bill for HIV/AIDS treatment. The previous combination treatment cost around R120 (13.4 dollars) per person per month, whereas the cost of the new FDA is currently R93 (10.38 dollars) per month. With 1.9 million patients currently on state-funded ARV treatment, a saving of R27 (three dollars) per person per month is significant. “The 2013 tender estimated that 30 million packs (of FDAs) will be purchased over two years, which will translate into an estimated saving of R810 million (90.5 million dollars),” Maila says. Cost is just one of the many benefits of FDAs, which has convinced Rebe that the pros of this form of treatment far outweigh the cons. A quick and easy single-dose pill is something Mbana is looking forward to when FDAs are eventually rolled out to her clinic in Masiphumelele. But for her, ensuring a steady supply of life-saving pills is more important than convenience. A health/life/death program dependent on logistical competence by current RSA administration is too frightening to contemplate. Can one trust that delivery of pills will be better than delivery of school books?